I had fresh pineapple salsa on my mind when I entered the market. It was going to top off some perfectly grilled fish. It was barely noon, and I was drooling over what was going to be on my plate for dinner. But, as it turned out, the butcher didn’t have what I wanted (I was thinking swordfish or mahi mahi), so I could either give up my salsa idea or settle on chicken. 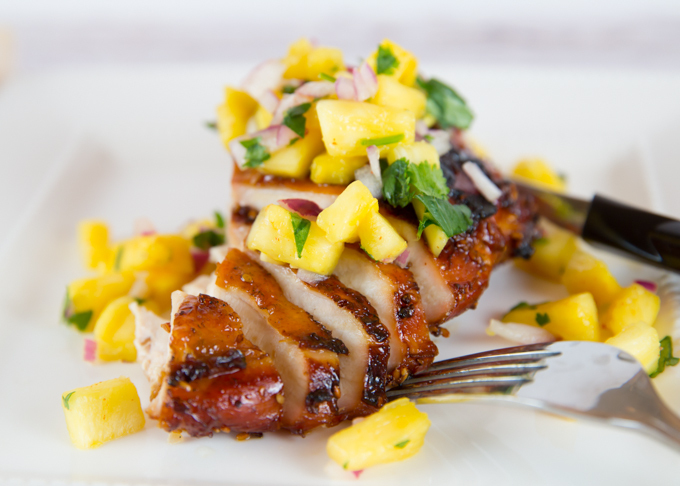 Since I couldn’t quite get the pineapple salsa off my mind, and those ingredients were already in my cart, I opted for the chicken. 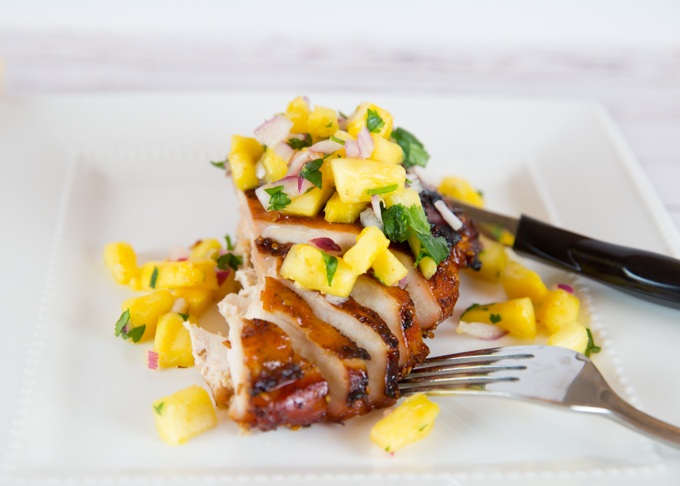 Pineapple Salsa Chicken turned out to be a great substitution. 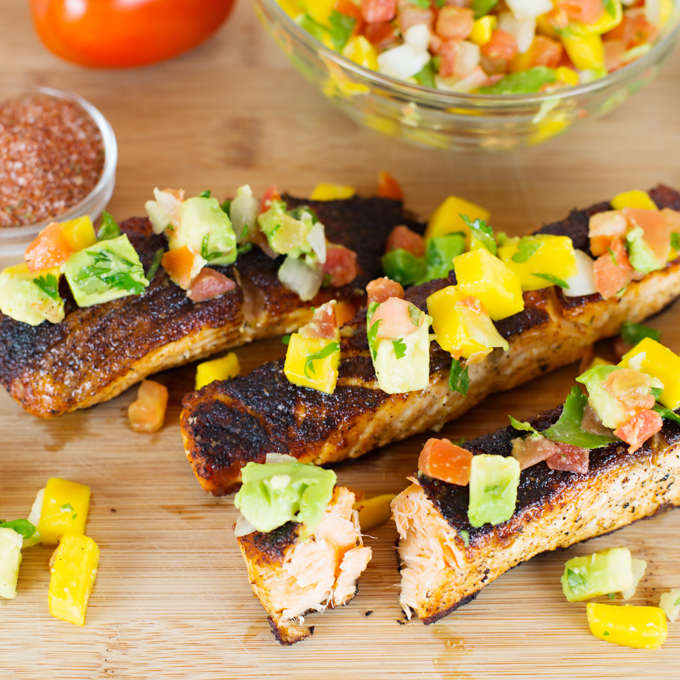 It was a quick dinner to prepare and one that I’m sure your entire family will enjoy! I served ours with a side of baked sweet potato w/a little butter, salt & pepper. It was a great compliment to the pineapple. A side of brown rice or maybe coconut rice would also be delicious! Simply marinate the chicken (I used skin on boneless breasts, but any cut will work) in your favorite teriyaki sauce and grill. Before serving top with pineapple salsa. 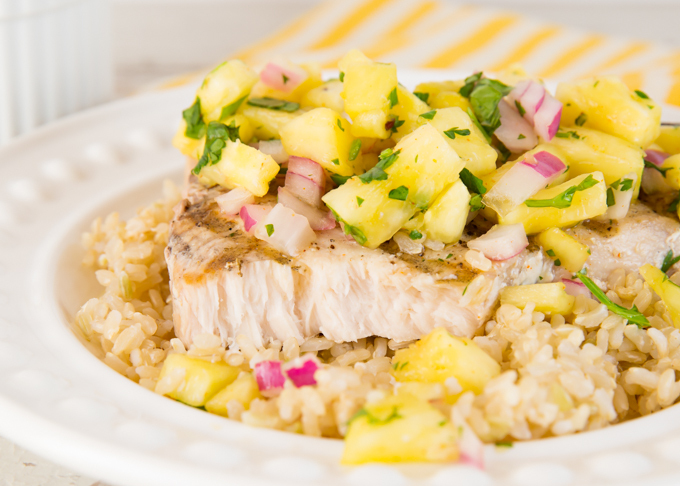 This fresh pineapple salsa would also be great on grilled fish, as a topping on tacos, as a topping on a burger, and of course, over grilled teriyaki chicken. ** This is the type of recipe where you can add more/less of each ingredient as you please. 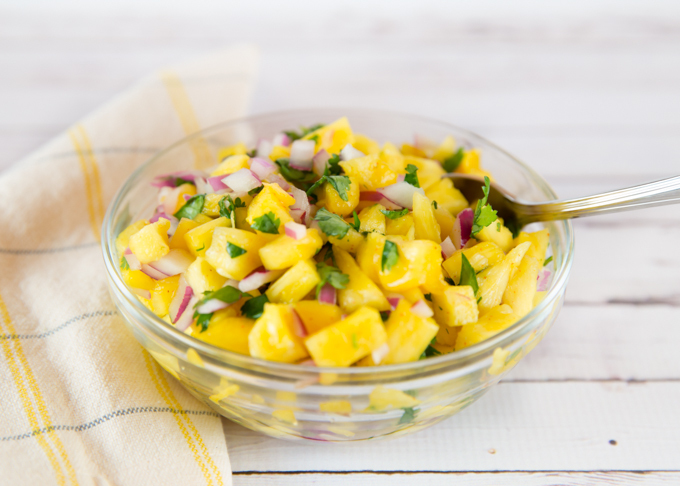 That pineapple salsa looks so refreshing and full of flavor! It looks delicious with the chicken and I bet it would be great with fish too. 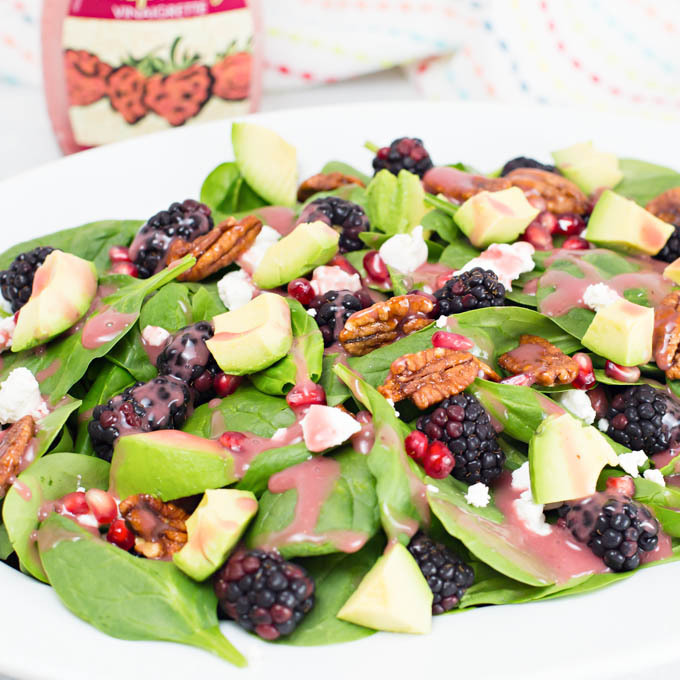 This is a perfect springtime meal! Renee this look fantastic. 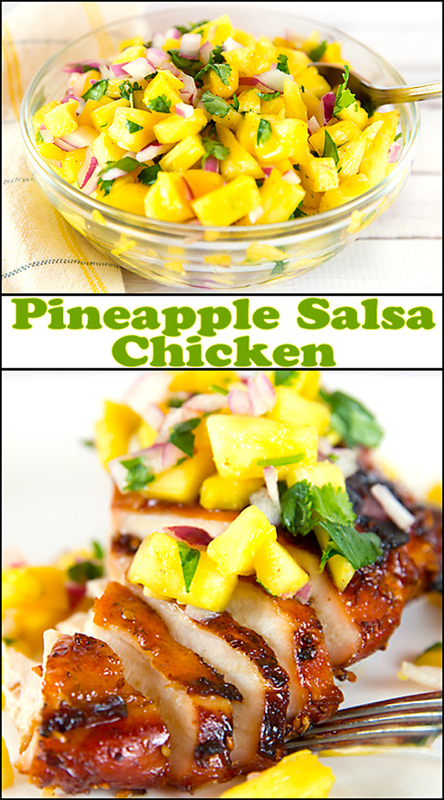 I love chicken and I have just bought fresh and sweet pineapples ( I live in Australia and I think it is in season now) I would love to try this recipe. Thank you. Love the freshness of this salsa! I’m always looking for ways to top off chicken! Sounds great.